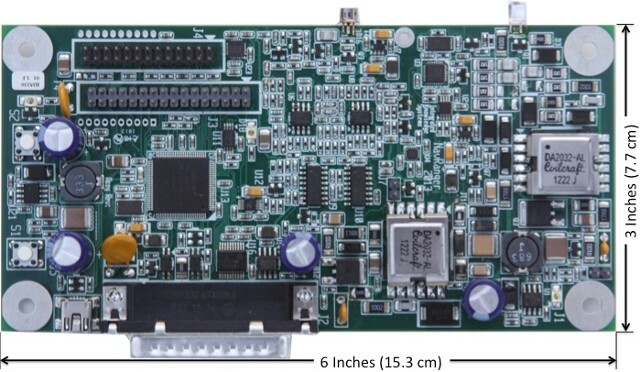 NavRanger-OEM from Integrated Knowledge Systems is a single board laser ranging subsystem for integration into products requiring high-speed distance measurements. NavRanger uses time-of-flight measurements of short pulses from a class 1 laser. Application specific optics, filters, and enclosures need to be added to the OEM version produce a complete system. The addition of 25mm receiving optics, laser collimation, and light filtering allows the NavRanger to sense a 10X10 cm white target at 30 m in direct sunlight. Longer ranges can be obtained with better optics and filtering. Open-source embedded software controls the on-board power supplies, amplifiers, and measurement electronics. The embedded software can also control a scanner or simple robot application. The provided software shows the basic system operation and can be customized to accommodate advanced requirements. Client software for Mac OS X, or Windows allows viewing of the measurement data and advanced functions such as object tracking.